Senate Bill 1051 amends the Illinois Probation Act of 1975 by emphasizing that judges consider the welfare of the dependent adult when appointing a guardian. The bill also requires the inclusion of contact information for physicians providing evaluations, reports or opinions on a person's mental or physical disability for the purpose of naming a legal guardian. "The legislation now specifically states 'best interest and well-being' of the dependent adult shall be the court's main concern in selection of the guardian," said Stadelman, D-Rockford "The goal is to help prevent guardianship from being used in a convenience or retaliatory manner." Stadelman worked with Sylvia Rudek, director of the National Association to Stop Guardian Abuse, to pass the legislation, which both houses of the Illinois General Assembly approved unanimously. Rudek, who lives in Mouth Prospect, Illinois, was subsequently named by Money Magazine to its "50 Heroes: 50 States" list for her efforts on SB 1051 and other reforms. "SB 1051 provides clear language along with protections for the elderly and disabled adults of Illinois who are under guardianship," Rudek said. "Senator Stadelman is to be commended for reaching across the aisle and working with Rep. David Harris to gain bipartisan support. 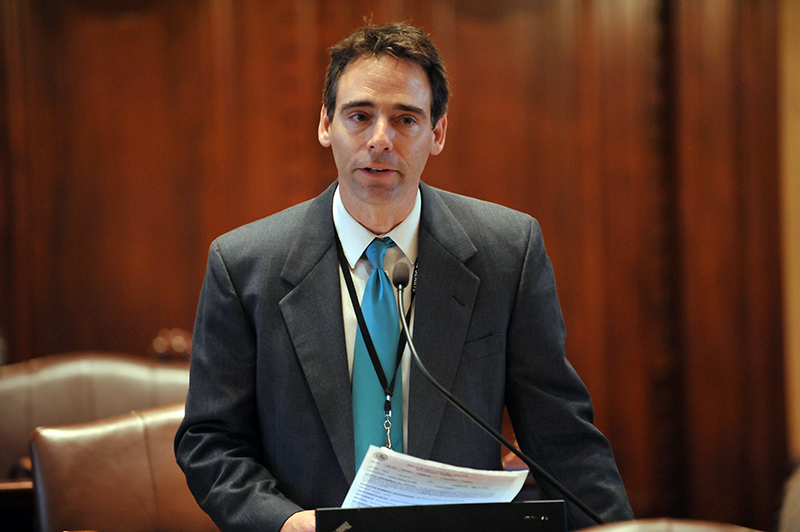 NASGA looks forward to working with Senator Stadelman in the future to further protect Illinois seniors and infirm adults." ROCKFORD – A bill sponsored by Illinois Senator Steve Stadelman that provides for more aggressive prosecution of repeat domestic abusers was signed into law by Governor Pat Quinn this week. The legislation allows prosecutors to upgrade charges from misdemeanor to felony for offenders with prior convictions for the same or substantially similar violent crimes, even if the prior convictions occurred in other jurisdictions. Prosecutors already had the ability to issue felony charges for abusers whose past offenses occurred in Illinois, but convictions outside Illinois didn't always come into play. "Domestic violence has a devastating impact that extends beyond the direct victims and that often leaves deep emotional scars," said Stadelman, D-Rockford. "As a community, we need to prevent abuse by having serious consequences for repeat offenses – and it shouldn't matter if an abuser's prior offenses occurred in another state." 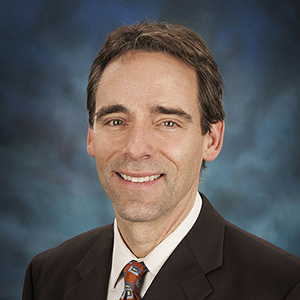 Winnebago County State's Attorney Joe Bruscato recommended the change, and Joe Sosnowski, R-Rockford, sponsored the bill in the House of Representatives. 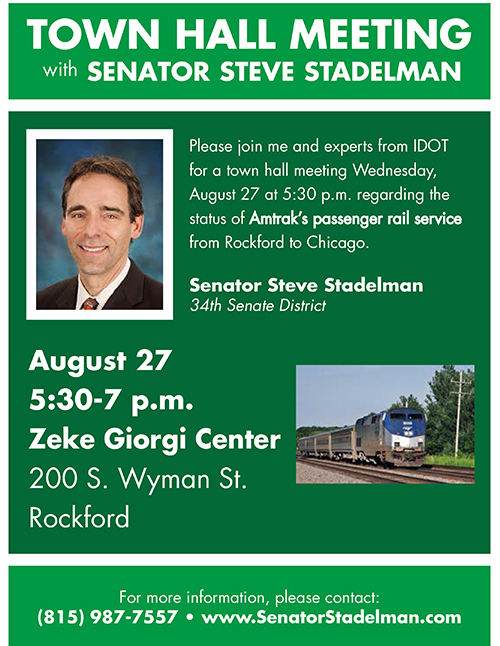 ROCKFORD – Anyone interested in learning more about passenger rail service between Rockford and Chicago is encouraged attend an Amtrak Town Hall Meeting hosted by Illinois Senator Steve Stadelman. Stadelman, a Rockford Democrat, has invited Illinois Department of Transportation experts to give a 45-minute report on the status of the $223 million project. A question-and-answer session will follow. "Passenger rail service to and from Chicago holds tremendous potential for economic growth and enhanced quality of life in the Rockford area," Stadelman said. "The public is excited about the prospect of a rail link with Chicago, and I think it is important to keep the public fully informed and to involve as much public input as possible." Construction is expected to begin in October 2014, with one daily round trip anticipated to be running by the end of 2015, two daily round trips by the end of 2016 and eventual service to Dubuque, Iowa. Amtrak will provide the restored Intercity Passenger Rail (IPR) service from Chicago to Rockford, using Metra & Union Pacific Railroad tracks. Track and bridge upgrades, increased capacity, a layover facility, a UP/Metra connection and new stations – including one in Rockford -- are among the improvements being funded through Governor Quinn's Illinois Jobs Now! Capital Program. 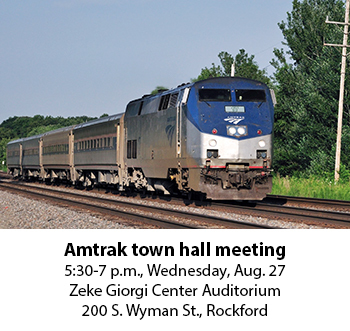 IDOT Project Manager Elliot Ramos will lead an overview discussion of Amtrak service and preparation work before fielding questions with Senator Stadelman and other transportation, engineering and municipal representatives. ROCKFORD – Mary Klemm walked out of Monday's utility bill clinic with potentially an extra $20 a month in her pocket. An adviser from the Citizens Utility Board walked Klemm through her options for keeping her land line and finding a better deal. Turns out her current provider charges her a monthly fee to generate a long-distance bill even if she didn't make any calls. "She gave me information that as a consumer, I didn't know -- and that's going to save me money. I'm old school. I don't want to pay for what I don't use," said Klemm, who is now going to work further with CUB to lower her cell phone costs. Klemm's success story was one of several coming out of the utility bill clinic sponsored by state Senator Steve Stadelman (D-Rockford) and the Citizens Utility Board. Advisers from CUB were on hand offering one-on-one analysis of gas, electric and landline phone bills; information on spotting billing errors; and incentives designed to help people improve energy efficiency. Alice Stacionis of Rockford said her CUB adviser explained the process for selecting an alternative electricity provider, which she anticipates will lower her bill. How much depends on her choice. "I've always known CUB was working on our behalf," Stacionis said. "This helped me understand a lot of things I hadn't really been paying attention to." 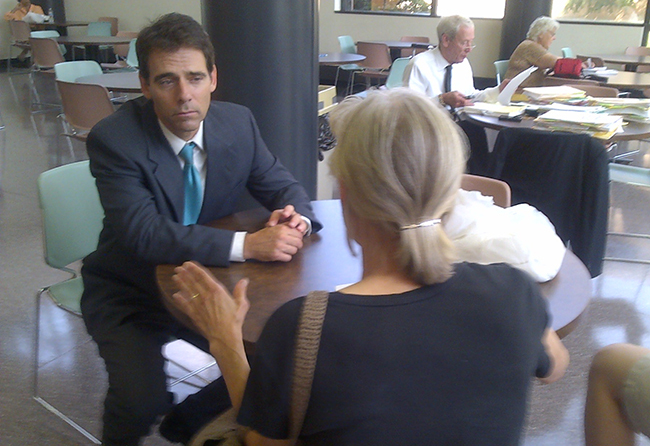 Senator Stadelman arranged Monday's clinic in an effort to better inform local consumers about their choices and potential savings. "Whether it's winter or summer, utility bills can add up, especially for people on a fixed income," Stadelman said. "I think many people were pleasantly surprised to learn the amount they could save with a few simple changes."